Good news, “Game of Thrones” fans/dog lovers! (Well, wolf lovers.) After being missing in action for most of Season 6 and all of season 7, Ghost will play a significant role in the eighth and final season of the series. When it airs. Eventually. Sometime in 2019. We're still waiting for HBO to tell us exactly when. Ghost is, of course, Jon Snow’s direwolf. A direwolf is, of course, a giant wolf. 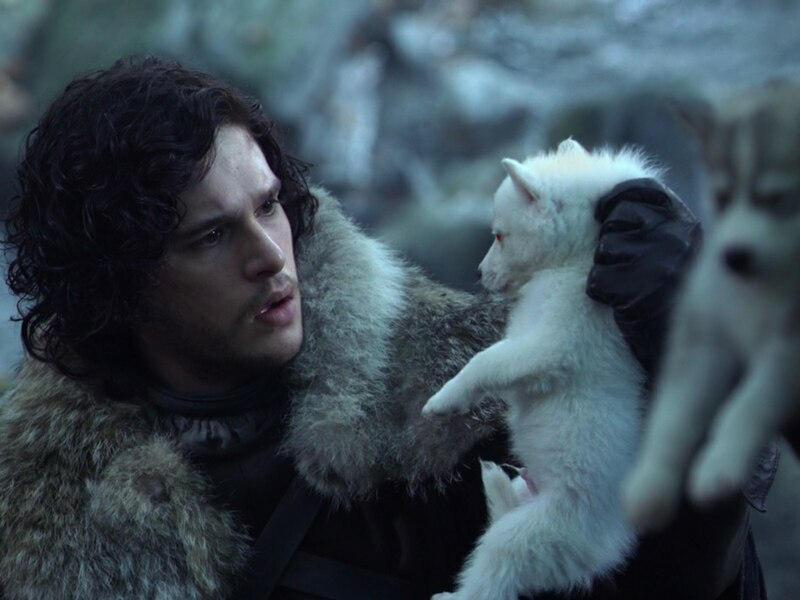 And Ghost was adopted as an orphaned pup by Jon Snow (Kit Harington) in the series' premiere way back in 2011. I wouldn’t get overly excited about his return if I were you, however. I’m willing to bet that Ghost won’t survive to the end of the series. Yes, I think he’s going to die. This is not a spoiler. I don’t have any inside information. I’m just saying that the odds are that Ghost will bite the dust during Season 8. For one thing, four of his five littermates have already met untimely ends — Lady was executed by Ned Stark at the insistence of Cersei Lannister, Summer was killed defending Bran from wights and White Walkers, Greywind was killed by the Freys and Boltons at the Red Wedding, and Shaggydog was killed by Umbers after they took Rickon prisoner. Only Ghost and Nymeria survive. More important, the odds of any living creature — human or animal — that appears in “Game of Thrones” dying are pretty high. A YouTube video from Leon Andrew Razon Compilations puts the death toll at 174,373. The nearly 24-minute video includes dozens of individuals, lots of horses, the occasional rabbit or sheep, and five dead direwolves — including the pups’ mother. It’s full of estimates from battle scenes and includes a guess that more than 100,000 were killed at Hardhome by White Walkers and wights. Maybe that’s a bit high, but 174,373 doesn’t seem exaggerated. If he's in the thick of the action, that only increases the chances that Ghost will die. Speaking of special effects, the big reason we haven’t seen much of Ghost is because the technology needed to put him onscreen without looking phony is expensive. And the producers spent a lot of money on Daenerys Targaryen’s dragons — which was, in a way, easier. Anyway, we’re told Ghost appeared in one scene that got cut from Season 7 — Jon Snow petting him and telling him to stay at Winterfell and stand guard over Sansa. And that the budget for the final season is so big they can afford to make Ghost part of it. Until he dies and we’re sad. Again.